Protected slips are carved into the coast line. Private docks for sale are a rare commodity in Rhode Island, and the slips at the Carnegie Abbey Marina are among the finest. 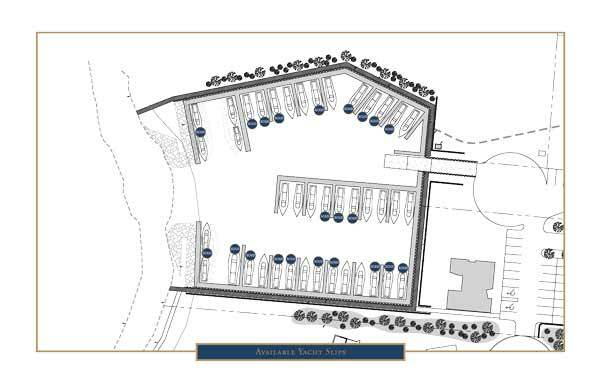 Enjoy world class service and facilities available only to boat slip owners at the exclusive Carnegie Abbey Yacht Club. Carved into the rocky coast line, this fortified yacht basin offers direct access to Narragansett Bay, unmatched protection for member vessels and the award-winning lifestyle of The Carnegie Abbey Club. The marina consists of forty-one beautifully appointed slips. Fewer than half remain. Special yacht club memberships are available offering a level of service beyond compare. When you're not tending to your vessel, take advantage of Scottish Links golf, fine dining, equestrian facilities, tennis, swimming pool and the casual camaraderie of fellow club members. 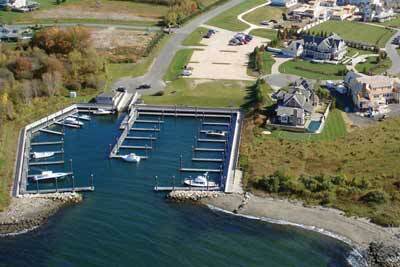 To learn more about docks for sale in the Carnegie Abbey Marina & Yacht Club, please contact: MATT HADFIELD 401.848.4358.